Complimented by intricate finger-picking.Cian studied music performance in Cavan where he was also awarded residency in “Cois Tine” by the arts council.More recently he has been gigging back home in Leitrim where he played at the Balinamore free fringe festival , stoneywoods festival, supported Lisa O’Neill and played in the dock arts centre. In addition to this he was the closing act for Sligo Live festival in the summer of 2017 . 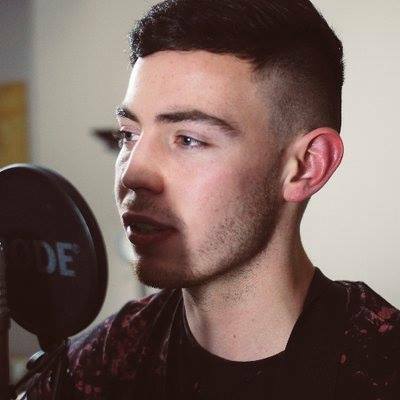 In 2016 Cian released a single for the Stoneywoods festival about dealing with the grief of loosing his older brother who died tragically of sudden adult death syndrome.The song called “Another Way” was in aid of the matter foundation and turned out to be a huge success selling 100’s of copies and reaching over 8 thousand views on youtube.Most recently he performed three songs on the live performance series “project 82” which can be found on youtube.In addition he was interviewed by Ocean Fm and played on their show called “Arts house sessions”.Currently Cian is working on his EP and is fully concentrated on his original work and the creative exploration of his own personal journey. Great tune, and great singer. Looking forward to more from this singer.